Quay West 08 is located high on the 21st Floor looks west over Darling Harbour and is light filled and very spacious. The building boasts a beautiful pool and gym, on the 24th floor with panoramic views over Sydney Harbour including the famous Opera House from the guest relaxing deck area. This apartment also comes with Wi-Fi. 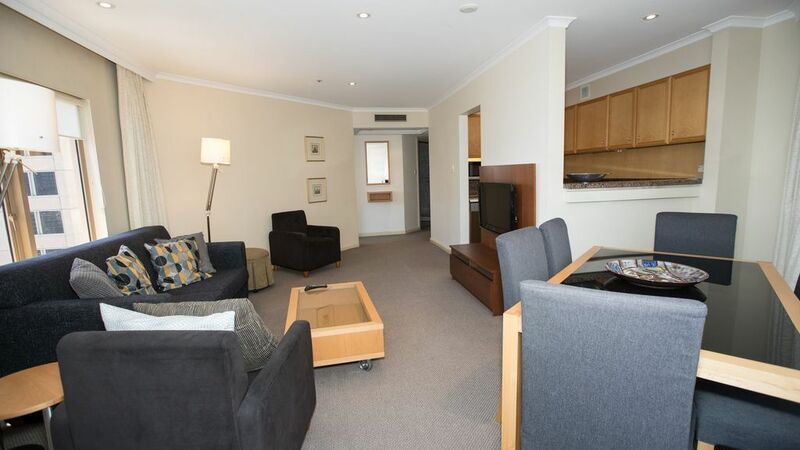 This fully furnished apartment is in a great location at the rocks. There is a generous kitchen which comes fully equipped, rather than with one large fridge there are two under bench bar-fridges. The laundry is located on the right as you walk in through private entry foyer. This apartment has a fabulous roof top indoor pool and spa. There is also a Gym and a rooftop outdoor area. Very close to the financial district of Sydney and a stone's throw from Circular Quay this apartment represents great value. There is no balcony or parking.